The outdoor furniture brand Tropitone, has added some new pieces to its Cabana Club collection which was launched last year. 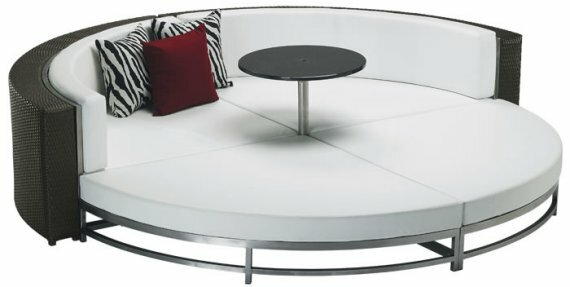 The most notable addition is a modular, 8-ft round party lounger, which includes four separate pieces that can be used as a group of four to create the round lounger or as stand alone, individual seating pieces. The party lounger is available with or without a low back and with or without a center table. Visit the Tropitone website ? here.